Unlike traditional art that hangs stagnant from a wall or perched silently on a pedestal, performance art grabs its audience and invites them to experience the artistic process with its creator. In this case, religious sand art promises provide a unique experience for your next event. With subjects carefully selected from religious work, artist Joe Castillo captivates his audiences with thoughtful narratives and a beautiful artistic expression. Joe Castillo grew up in Mexico City and loved using art to tell stories. 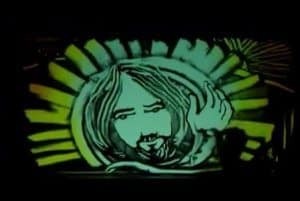 From comic books to religious sand art, Castillo now works magic on a light board with sand, projecting his images for the audience. His passion and creativity join forces to make his beautiful work an awe-inspiring addition to any event. Creation artfully depicts the origin story we are all familiar with. Starting from darkness and skillfully winding its way into the light, the narrative progresses seamlessly. Watch a fish morph into a shark, an elephant appear with a few gestures and finish the adventure with a tempting apple. Passion powerfully represents the ultimate sacrifice. Skillfully revealing the Passion of Christ with just the right amount of imagery, Castillo morphs the images across the light board and tugs at his audience’s emotional response. Christmas details the miraculous journey taken by Mary and Joseph that resulted in the birth of Christ. With angels and the hand of God overhead, the narrative shifts in and out of captivating detail. It cumulates with the happiest of endings. You Grace Finds Me is the first piece of religious sand art on this list that incorporates a live music performance. Matt Redman sings “Your Grace Finds Me” while Joe Castillo fantastically brings the words to life on a projection behind the stage and cooly demonstrates the breadth of his artistic talent. The Least of These is an abstract epoch that begins with a young mother and her son. As the sands move and craft the rest of their story, a stranger offers a helping hand and a warm meal. As a smile graces her face, so do the audience members watching. Whether you are seeking the literal depictions of the Biblical story or the interpretation of an inspiring song, Joe Castillo will be able to work some religious sand art magic for your next event. Read further about this visionary, take the time to enjoy the videos listed, and consider what adding this masterful level of performance art could do for your event.